Here’s what’s up in the world of TV for Wednesday, April 26. All times are Eastern. The Handmaid’s Tale (Hulu): While Erik Adams’ review of this adaptation of Margaret Atwood’s classic novel mentions how odd it feels to call something so chilling and relevant “gripping,” as though it were some thrilling fantasy, the description fits. 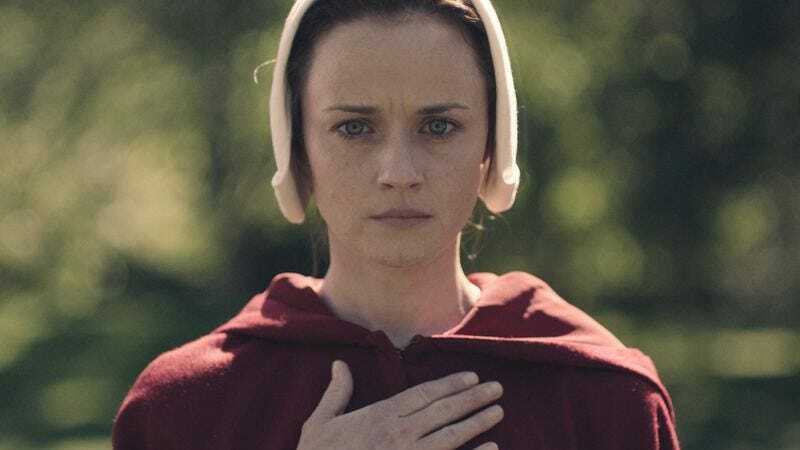 This tale of Offred (Elisabeth Moss) and her efforts to regain some semblance of dignity in the dystopian near-future world of Gilead are exquisitely crafted episodes of television, not so much entertaining as compelling. The first three episodes drop today, with subsequent installments following weekly. Allison Shoemaker will be reviewing all the patriarchal ugliness.